The print in the background of my Show poster. This one was meant to show the frustration of reaching an impasse, of not being able to move forward or backward or sideways. Been there, felt that. It was also the beginning of utilizing the press’s ability to lay down large solid layers of colour, something that has always impressed me about this type of printing. 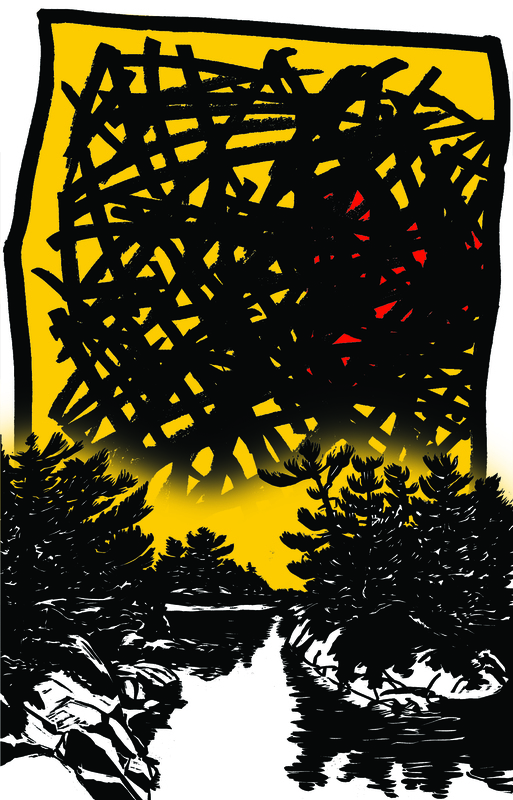 A ‘transition’ piece that used landscape to illustrate an engraving I created with survivors of all types in mind. I wanted to present the bleakness of their recent past coupled with the potential that the future held, but held without any guarantees.